Real Madrid's attacking trio of Karim Benzema, Gareth Bale and Cristiano Ronaldo have not been at their best this season, while FC Barcelona's Lionel Messi has been in tremendous form. Los Blancos have made a stuttering start to their La Liga title defence as they find themselves eight points behind rivals Barca. Real's front three, known as "BBC", have been unable to hit their most lethal form yet this season, partly down to injuries disrupting Zinedine Zidane's selection. Ronaldo has scored eight goals and assisted two more in 13 games, and Benzema has scored just twice and assisted twice, while Bale has hit the back of the net just three times and set up a further four strikes. This means that, altogether, Real's attackers have contributed to just 21 goals so far across all competitions in this campaign, which is the same amount of strikers Messi has contributed to for Barca. The Argentine has been the Catalan club's main source of goals as Luis Suarez has struggled to perform since returning from injury. 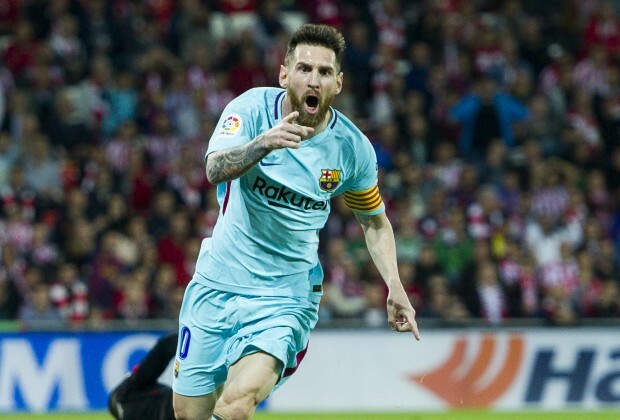 Messi has found the back of the net on 16 occasions across all competitions, while he has also assisted another five strikes. Diego Simeone did say Messi alone is better than BBC so I'm not surprised that Messi has the same number of goals as BBC combined....They are finished.